Today is officially my first day as a full-time mom. Two weeks ago, I let my boss know that I would not be coming back to the E.R. after my maternity leave ended. And it became official yesterday. I am no longer gainfully employed. I'll be honest... typing those words gives me a nervous feeling in my stomach. You see, I've always worked. I've always had a place to be on most days of the week. I've always had my own income. But now my job looks a lot different. There are no set hours. There is no clocking in or clocking out. There isn't a set pay rate. There isn't a lunch break. In spite of all of this, though, there are amazing benefits. Getting to spend every day with our daughter. Being able to watch her grow and learn and change before my eyes. Teaching her the ways of this big and exciting world. Having more time to spend with my husband rather than rushing off to work for a day or night shift. I know that I am so fortunate to be able to quit my job and stay home with our daughter full-time. I truly do not take that for granted. 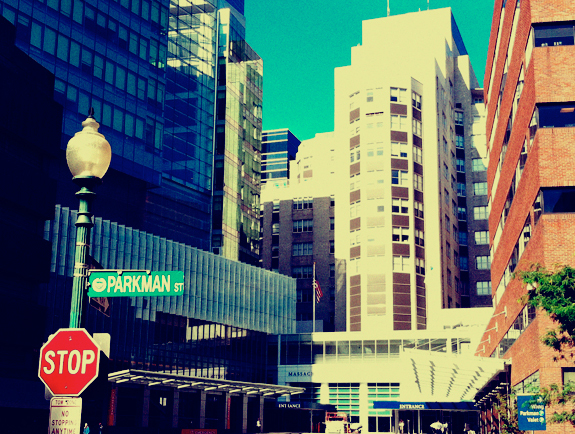 I just don't think it has really hit me yet that I won't be returning to the chaos of the Mass General Emergency Room. It just doesn't seem real. I think I'll miss it. But only just a little bit. And I won't miss the drunks. Or the night shifts. But I will miss being an RN. But I'll be back. Garmin stats: 4 miles/?? minutes. I literally ran my errands today. First stop? Gap to return a few things. Second stop? Cafe Fixe to buy coffee beans and a latte. So what if I was a sweaty mess and people were staring at me? I was running! Topics: my future, oh baby, R.N. You are still working full time, being "home" with your little one. Enjoy the time with your husband and baby. You will have lots of time.... later to work for $ outside the home again. I miss using my brain on a busy day to take care of a complicated patient, I miss some of the fun co workers I had, and most of all, I miss my paycheck that was allowing me to pay down my student loans, and for us to have "extras". If we were in the states, I would be ready now to work one or two 8 hours days a week I think. Then I think about handing Nolan over to a stranger (since we would not live near family) and I know I couldn't do it. It's a tough adjustment. Sometimes I am SO happy to be with him, and other days I feel like all I do is mop up spit up, change diapers, and do laundry. The grass is always greener, right? For the most part, it's a great opportunity, one that many women don't get a choice if they want it or not. So I keep that in mind. Congratulations on making the change to full-time motherhood.